An easy way to make your home look nicer is to upgrade the windows and doors in your home. These vinyl replacement windows will impact the curb appeal of your property, which helps with first impressions that people receive when they come to your home. Some homeowners find that they are embarrassed to invite family or friends to their property because of the run down appearance of the building. Instead of being embarrassed about the way your home looks, it is better to have vinyl replacement windows and doors installed so that your home looks better. 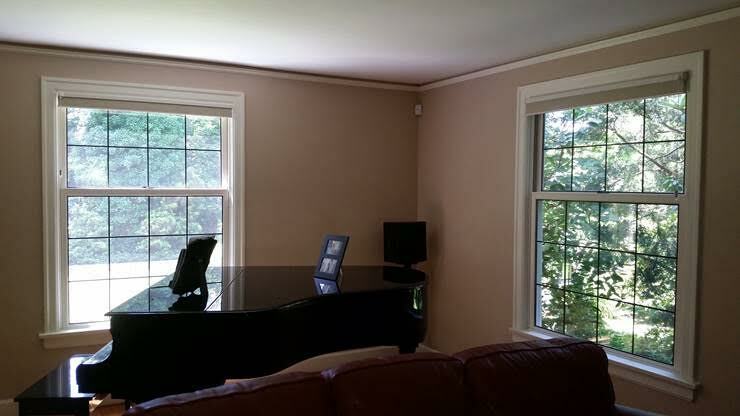 Additionally, upgraded windows can be beneficial to improve the indoor appearance of your Maple Valley, WA home. When the windows are improved, it will help to increase the access of sunlight that you enjoy inside. Did you know that your daily activities have a direct impact on the quality of the environment? Some people are looking for ways to reduce their carbon footprint, so they consider the energy efficiency upgrades that can be used to make their home better. Energy efficiency in your home is one of the best things that you can do to save the environment, because you can reduce the amount of energy that you are using for your daily activities and tasks. At Signature Window & Door Replacement, we are experts in the industry of energy efficient windows. Vinyl replacement windows will improve the insulation of the home and reduce the drafts that are coming in from the weather outside, making it easier for you to reduce your energy usage while maintaining a comfortable temperature inside. One motivation for making upgrades in your home is to increase the value of your property. Some homeowners choose to make these upgrades right before selling the home, so that they can ask more money for the final price of the property. Even if you aren’t planning to sell right away, consider vinyl replacement windows so that you can enjoy the benefits now. Your home will still be ready to sell when you decide that the time is right. High quality windows and doors can have an impact on the way the appraiser will value your home, helping you to increase the amount of equity that is available to roll into your next home purchase. How often do you hear the noises of the neighborhood throughout the day? These sounds can disrupt the peace in your own home, and it is common for homeowners to look for a way to muffle the noises that they are hearing in the neighborhood. High quality windows are a great way to reduce the sound of the neighbor’s radio, the cars driving by, barking dogs, or even neighborhood kids who are yelling as they play. Perhaps you don’t always mind these sounds, but it is nice to have the option by opening a window when you would like to hear what’s going on outside! When these replacement windows are installed, you will see that your home is peaceful and calm because you won’t be able to hear the goings-on of everyone around you. Did you know that the quality of your windows and doors has an impact on the safety of your family? When you go to bed at night, it is important to lock the doors and windows in your Maple Valley, WA home to keep out unwanted intruders. Older windows and doors make an easier access point, so you can deter potential break-ins by upgrading the windows and doors in your home. There are a number of reasons why you will enjoy having high quality vinyl windows installed in your home. Here at Signature Window & Door Replacement, we want to be sure that you love the new windows and doors that are installed in your home, and we are here to help so that your project is a success.